There are certain knife designs that "just feel right" when holding them. 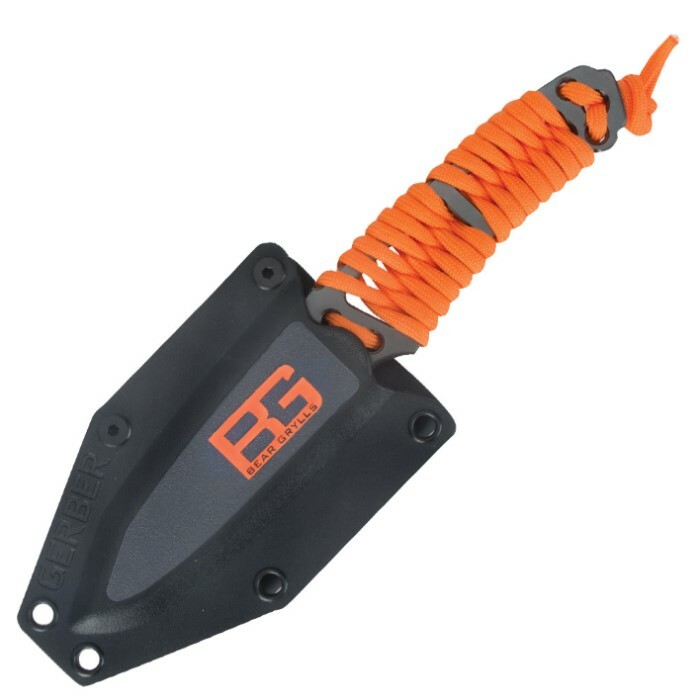 This fixed blade survival knife is one of those designs. Simple and slim, yet highly effective and utilitarian, this piece is an ideal companion for your next hiking, camping, or fishing trip. 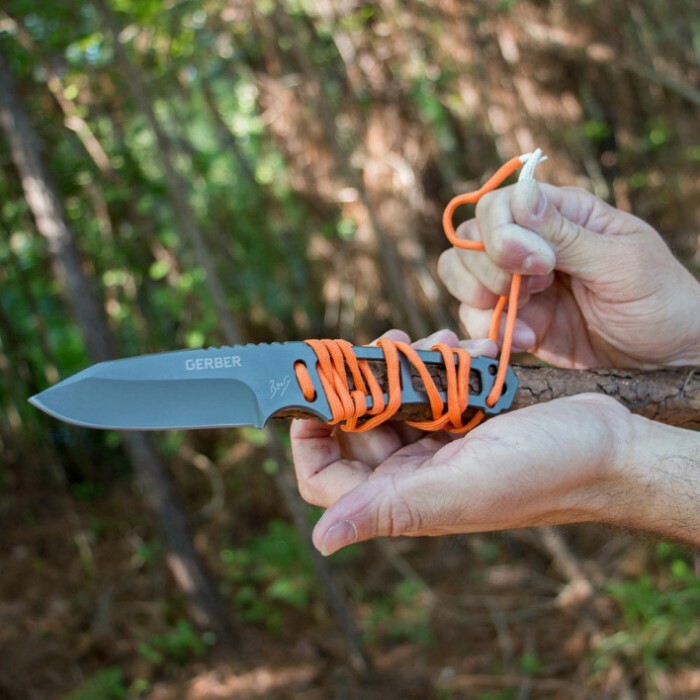 More than just a useful knife, the knife handle is wrapped in paracord to give you an advantage in survival situations. Paracord is useful for securing shelters, snares, splint building, spear lashing, and countless other tasks which may be called for in a survival situation. The bright orange color of this cord has an additional benefit of being useful as a signal. The full tang knife blade is forged using 5Cr15MoV stainless steel and given a dark, non-glare finish. A reversible sheath is included, allowing for the knife to be carried tip up or tip down, depending on your preference. Bear's handy Priorities of Survival Guide is also included. This knife has a 3 1/4 in. blade and measures 7 3/4 in. overall. i order this knife from budk and it is just awsome . it is a good sturdy weight balanced perfectly at the center it is sharp and holds a great edge also it makes a great throughing knife js. if you are looking for a surviaval knife or if you are a collector of knives . 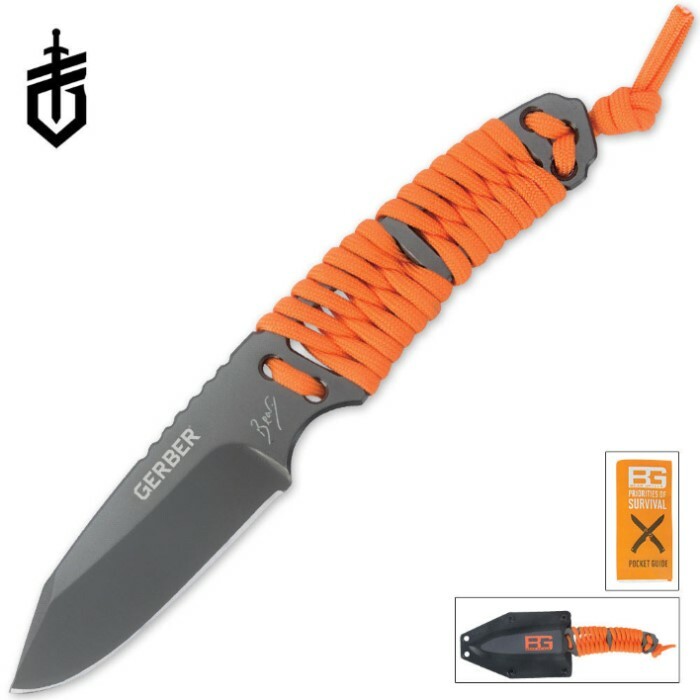 get this knife!! !